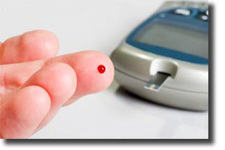 Borderline diabetes can also be called prediabetes. This often results when your blood sugar is higher than it should be but it is not actually high enough for you to have actual diabetes. Just because you have prediabetes does not mean that you have full blown diabetes but this can increase your chances of developing heart disease and diabetes late on down the road. This article will explain borderline diabetes in more detail so that you can be prepared to deal with it if your doctor tells you that you have it. There are two different types of tests that can be performed in order to help determine if you have borderline diabetes. The first of these two tests is the fasting plasma glucose test and the second is the oral glucose tolerance test. Your doctor may order either one of these in order to determine if you are prediabetic and if you are at risk for other complications later down the road. If your doctor recommends either of these tests you should have them completed. The results will let you know if there is anything you should be doing in order to prevent the onset of diabetes. When you find out that you may have borderline diabetes there are a few things that you can do in order to help decrease the likelihood of developing diabetes later in life. The first thing that you can do in order to decrease the onset of diabetes will include losing weight and working towards a healthy weight for your age. You will want to talk to your doctor about your weight. He or she will be able to work with you to find your ideal body weight and help you develop a diet and exercise routine to help you get to that weight. The next thing that you can do will include exercising daily. You need to exercise for approximately 30 minutes a day. This will help you lose weight and it will also help manage your borderline diabetes so that it does not turn into full blown diabetes. You will be much healthier all the way around if you take the time to exercise and get in shape. This, in conjunction with a healthy diet, can help you manage your condition. Low fat protein, vegetables and whole grains need to be worked into your daily diet so that you can manage your borderline diabetes. All of these foods, plus a healthy dose of fiber, can help you get control of your borderline diabetes before it progresses into other serious conditions. All of these foods will help you control your sugar and help you remain healthy. Even though you take the steps needed to help you manage your borderline diabetes you may end up with diabetes in the end. There are numerous factors that can contribute to this and play a role in your health. You need to also think about family history and genetics. If you are concerned about any of these issues you should talk to your doctor. He or she will be able to explain things to you in more detail and the doctor will be able to tell you want you can do in order to take precautions. Diabetes is not a death sentence and neither is borderline diabetes. However, you do need to follow your doctor’s orders and you need to take the time to care for yourself. If you do not take the time to do that you may regret the end results. It is important to eat right and exercise in order to stay healthy. If you do not take the steps necessary to improve your health, you will have no one to blame but yourself.